Roger Wallace is currently the Senior Advisor of Government Relations for Pioneer Natural Resources. Roger was appointed Vice President of Federal Policy in January 2014 which he served until May 2016. He previously served as Vice President of Government Affairs from February 2005 until December 2013. Prior to joining Pioneer, Roger served as President and CEO of Investamex, an investment and consulting firm that he co-founded in 1993. Roger was the Minister Counselor for Commercial Affairs at the United States Embassy in Mexico City during the negotiations of the North American Free Trade Agreement. He was the principal U.S. government representative in Mexico responsible for bilateral trade and investment activities. 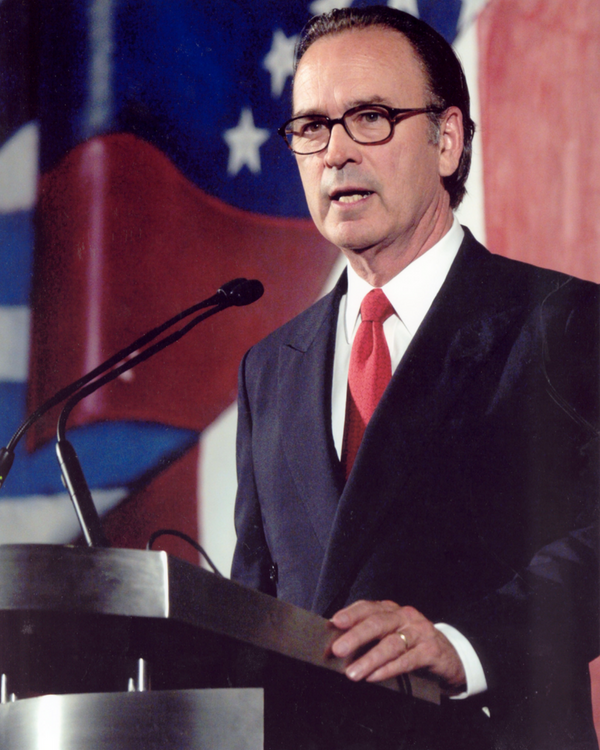 From 1989 to August 1991, Roger served as the Deputy Under Secretary for International Trade at the U.S. Department of Commerce, managing the day-to-day activities of the International Trade Administration. As Deputy Under Secretary, he was responsible for coordinating the Commerce Department’s role during the preparatory phases of the North American Free Trade negotiations, for which he received the Department’s highest award. Roger graduated with a Bachelor of Arts degree from Washington and Lee University. He received a Master of Arts degree from the Fletcher School of Law and Diplomacy with post-graduate work at the Graduate Institute of International Studies in Geneva, Switzerland. Roger is Co-Chair Emeritus of the Woodrow Wilson Center’s Mexico Institute Advisory Board. He is a former Chairman of the Inter-American Foundation and continues as a member of the Advisory Board. He was a Trustee of the Salzburg Seminar in American Studies, now the Salzburg Global Seminar and Founding Chairman of the Asia Society Texas Center. He is a member of the Council on Foreign Relations and a Senior Fellow at the Bipartisan Policy Center.